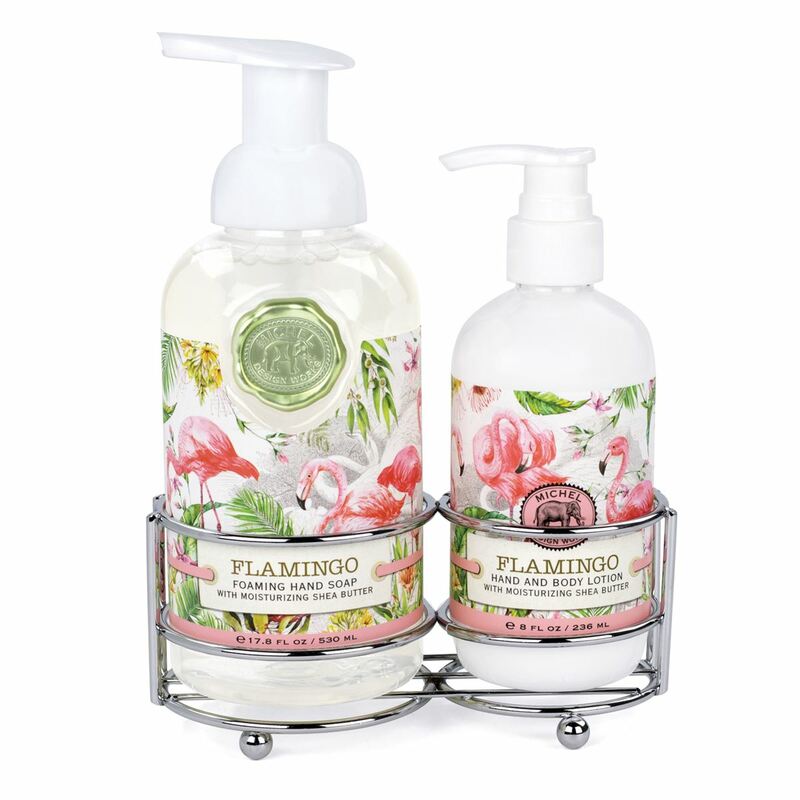 A silver-toned caddy holding our popular foaming hand soap and rich hand lotion together in one place. Very elegant, very convenient. Foamer: 17.8 fl. oz. / 530 ml liquid. Lotion: 8 fl. oz. / 236 ml liquid.